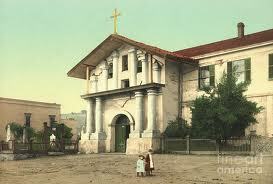 Mission Dolores, San Francisco, established 1776 on El Camino Real. Traverse the 600-mile trail that connects California’s 21 missions. Peer behind an ornate mission altarpiece that, for more than two centuries, has hidden murals painted by the Ohlone Indians. Uncover the mysteries of Mission Dolores’ ancient cemetery. CyArk, a non-profit digital scanning company based in Oakland, is creating the digital El Camino Real, documenting some of the oldest buildings and historic sites in California. 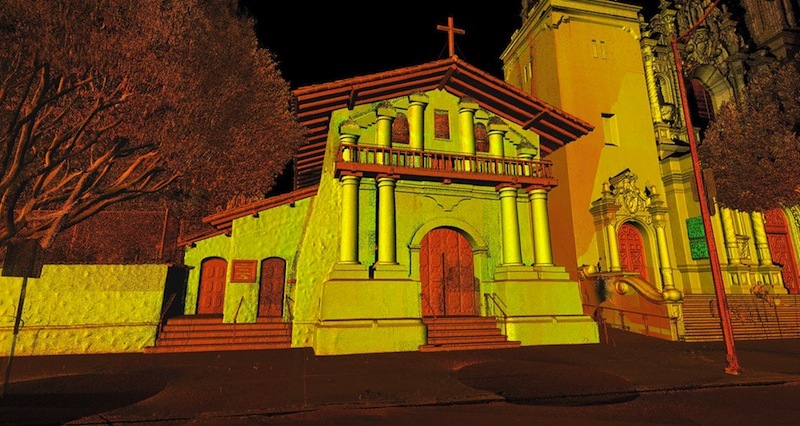 Mission Dolores, founded in 1776, is the oldest surviving structure in San Francisco and one of the first sites along the historic El Camino Real to be scanned and documented by CyArk. 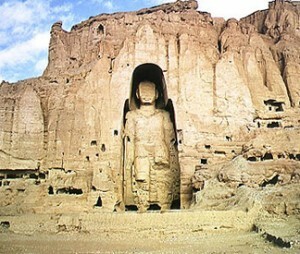 Bamiyan Buddha, 6th Century, Afghanistan. Destroyed by the Taliban, 2001. CyArk has digitally preserved over 70 sites around the world from Pompeii in Italy, to Tikal in Guatemala. “We use a 3 D laser scanner that sends out a pulsed laser beam and captures billions of points of these structures at a rate of about 100,000 points a second,” explains Elizabeth Lee who directs operations at CyArk. These sites are at risk, endangered due to everyday exposure to the elements, vandalism, war, urbanization, poorly managed tourism, catastrophic events, and general neglect. The non profit organization was founded in 2003 by Ben and Barbara Kacyra after they sold their technology company that had developed the first fully integrated laser 3D imaging, mapping, modeling, and CAD system which is currently used worldwide in architecture, engineering and construction, entertainment and crime forensics. Historic carved altarpiece from Mexico installed in front of mural painted by Indians. Sometimes new things are revealed during the scanning process. 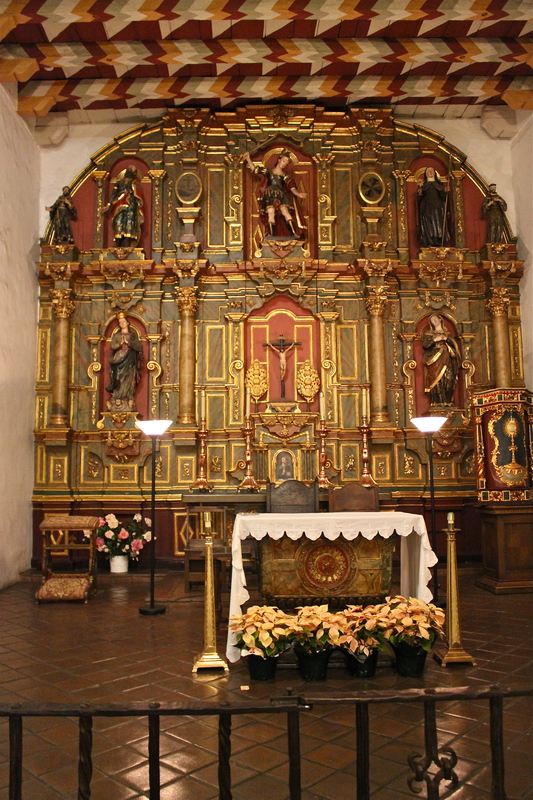 At Mission Dolores, CyArk worked hard to get behind the very ornately carved reredos, a false wall in back of the altar that was made in Mexico and shipped to the Mission by boat in 1796. For more than 200 years, the reredos has obscured a mural that was painted by the Indians when the mission was completed in 1791. “There’s about a two foot space behind the frame where the statues are today,” says Andrew. “Very few have ever been able to see what’s behind. Using fiber optics they’ll be able to get a little pin wheel and be able to photograph. Then you’ll be able to click on say Saint Joachim with your smart phone and boom! You’ll be able to see behind, floor to ceiling, the mural that the Indians painted here at Mission Dolores. There are almost 6000 Indians buried in the Mission Dolores cemetery, relates Andy Galvan, whose relationship to the Mission is much more than Museum Curator. 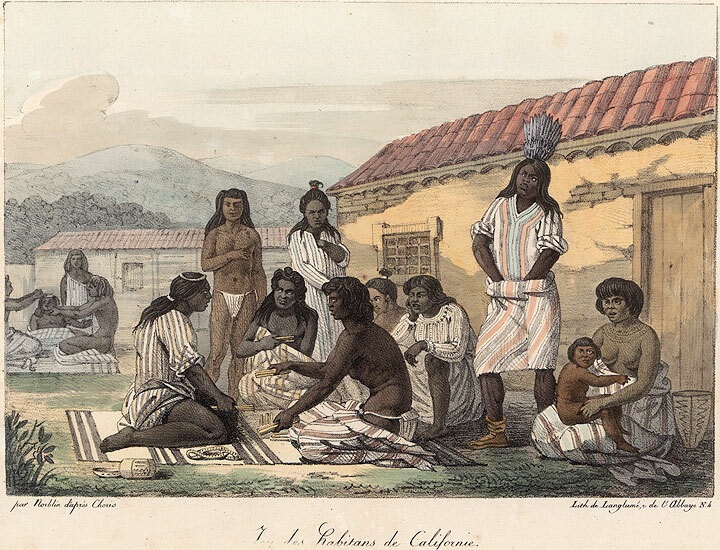 Andrew is an Ohlone Indian whose ancestors were some of the first people baptized, married and buried at the Mission Dolores. 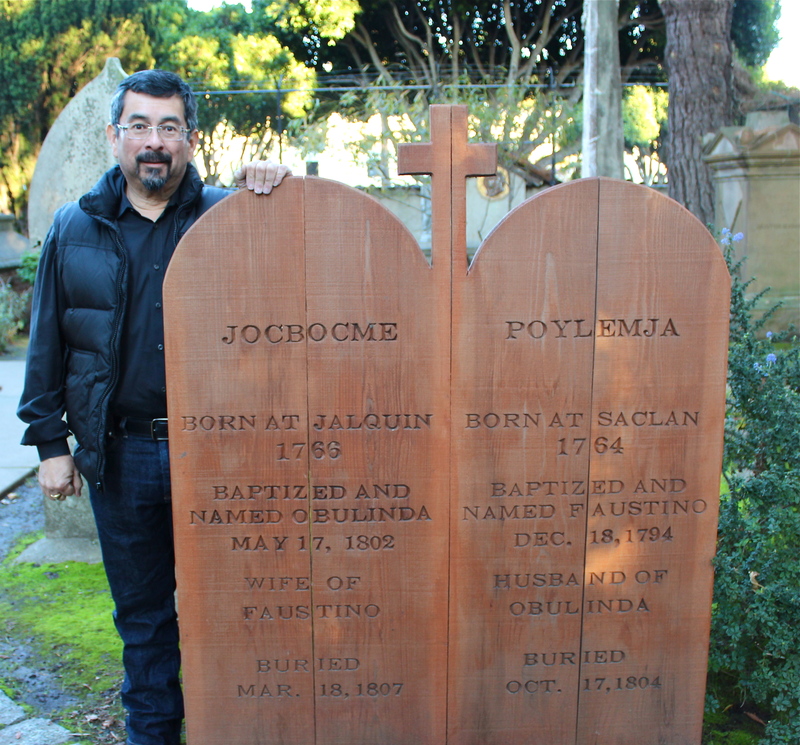 Andy Galvan's Ohlone Indian ancestors are buried in the cemetery at Mission Dolores. Loved this installment. Could anyone tell me the name of the song playing throughout the story? It’s “Alone in Tokyo” by Air. Whoops, it’s “Alone in Kyoto,” not Tokyo. I love it! Excellent article. Unfortunately, I found this article too late – I already found the answer on another service. Filling out forms is super easy with PDFfiller. Try it on your own here goo.gl/bUqZzG a form and you’ll make sure how it’s simple.